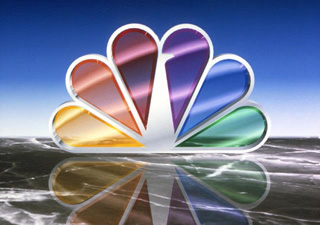 NBC has announced the new primetime schedule for the 2010-11 season. We previously gave you the highlights of the new season. If your favorite show is missing, be sure to check out our list of NBC cancellations and renewals. NEW YORK CITY — May 16, 2010 – NBC announced today its 2010-11 primetime schedule that is highlighted by five new comedies, seven new drama series and one new alternative program, including shows from such innovative hit-makers as J.J. Abrams, Jerry Bruckheimer and David E. Kelley, among others. NBC will also broadcast a 35th anniversary “Saturday Night Live” special that will celebrate the iconic late-night series’ long and eventful run on NBC since 1975. The announcements were made by Jeff Gaspin, Chairman, NBC Universal Television Entertainment, and Angela Bromstad, President, Primetime Entertainment, NBC and Universal Media Studios. On Mondays (all times ET), NBC leads off with “Chuck” from 8-9 p.m., followed by two new and intense hour-long dramas – “The Event” (9-10 p.m.) and “Chase” (10-11 p.m.). Then on Tuesdays, NBC returns with its powerful stories from the hit alternative series “The Biggest Loser” (8-10 p.m.) and finishes the night with the acclaimed family drama “Parenthood” (10-11 p.m.). NBC’s Wednesday night features three hours of drama programming beginning with the new series “Undercovers” from J.J. Abrams (8-9 p.m.), “Law & Order: Special Victims Unit” (9-10 p.m.) and the new “Law & Order: Los Angeles” at 10-11 p.m. concludes the night. Primetime Thursdays feature wall-to-wall comedy as this season’s freshman sensation “Community” continues at 8-8:30 p.m. followed by the Emmy Award-winning “30 Rock” (8:30-9 p.m.). The Emmy-winning “The Office” continues 9-9:30 p.m. and will be followed by the new comedy “Outsourced” (9:30-10 p.m.). Now NBC’s comedy fans get an extra round of laughs when the new, hour-long comedy “Love Bites” debuts at 10-11 p.m. “Parks and Recreation” will return to Thursdays later in the season to give the night more original programming. Fridays come alive with a fresh mix of reality, news and a new scripted drama as the popular “Who Do You Think You Are?” returns at 8-9 p.m. where it shares the time period with “School Pride” — a new, proactive and inspiring series about rebuilding a community’s schools. “Dateline NBC” continues at 9-10 p.m. with its compelling personal stories. The workweek ends with “Outlaw,” a new courtroom drama featuring Emmy winner Jimmy Smits as a former U.S. Supreme Court justice. The wildly successful “NBC Sunday Night Football” reigns supreme again on Sundays (8:15-11:30 p.m.) preceded by “Football Night in America” (7-8:15 p.m.). The new series “The Cape,” “Friends With Benefits,” “Perfect Couples,” “Harry’s Law” and “The Paul Reiser Show” will premiere later in the season along with a new version of “The Apprentice” “The Marriage Ref” and the new series “America’s Next Great Restaurant” — starring acclaimed celebrity chef/restaurateur Bobby Flay. ‘HARRY’S LAW’ – Emmy Award-winning creator David E. Kelley (“The Practice,” “Boston Legal”) brings his unique storytelling to “Harry’s Law,” a series about fate and the people it brings together, starring Academy Award winner Kathy Bates (“Misery,” “About Schmidt”). Harriet (Bates), Matthew (Ben Chaplin, “Me and Orson Wells”) and Malcolm (Aml Ameen, “Kidulthood”) couldn’t be any more different. Harriet is a curmudgeonly ex-patent lawyer who, having just been fired from her cushy job, is completely disillusioned with her success and looking for a fresh start. Her world unexpectedly collides with Malcolm’s — a young man trying to figure out life. When he finds out Harriet is a lawyer, he begs her to represent him in an upcoming criminal case. Matthew, a dreamer at heart and also recently fired from his job as a high school teacher, is introduced to Harriet through Malcolm, a previous student of his. When these three cross paths, they realize they’re all looking for a fresh start. Now, the most unlikely of people are starting a law practice in the most unlikely of places–a rundown shoe store. “Harry’s Law” also stars Brittany Snow (“Hairspray”) as Harriet’s assistant, Jenna Backstrom and Beatrice Rosen (“Dark Knight”) as Eve, a high school French teacher. More about: 30 Rock, Chase, Chuck, Community, Dateline, Friends with Benefits, Harry's Law, Law & Order: Los Angeles, Law & Order: Special Victims Unit, Love Bites, Outlaw, Outsourced, Parenthood (2010), Parks and Recreation, Perfect Couples, School Pride, The Apprentice, The Biggest Loser, The Cape, The Event, The Office (US), The Paul Reiser Show, Undercovers, Who Do You Think You Are? Will “Trauma” still remain on TV this upcoming season?